A curious thing about my ancestors–they’re all dead. It’s the one thing they have in common. When they die, they get buried. At least back in the day, that’s what they did. Today, cremation is a definite possibility, and it’s getting more common. Especially in Europe where they are running out of room for all of the bodies. But where did the bodies of our Euro-American ancestors go? I have some guesses, and going by family names, religions, places of settlement, and places of origin, I’d bet some good money that I’ve got late relatives buried in each one of the cemeteries I found. Of course, I promised that I’d do some looking into the Polhemus family cemetery where my 5th great-grandfather was buried. You would think that would be an easy thing considering that the cemetery is smack in the middle of American Revolutionary history. Not so. None of the links to Colts Neck New Jersey Cemeteries seem to be working correctly. However, I was able to get some interesting photos with definite possibilities. The Polhemus family cemetery, where Auke Wykoff is said to be buried, is located in the Colts Neck Reformed Church Cemetery. This makes sense, since most Dutch immigrants belonged to the Dutch Reformend Church. This is the only photo I could find of the “church” or cemetery. The Flatbush Dutch Reformed Church in Monmouth county. 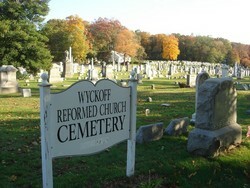 I would not be surprised at all to find ancestors buried here, even if they are not Wyckoffs. 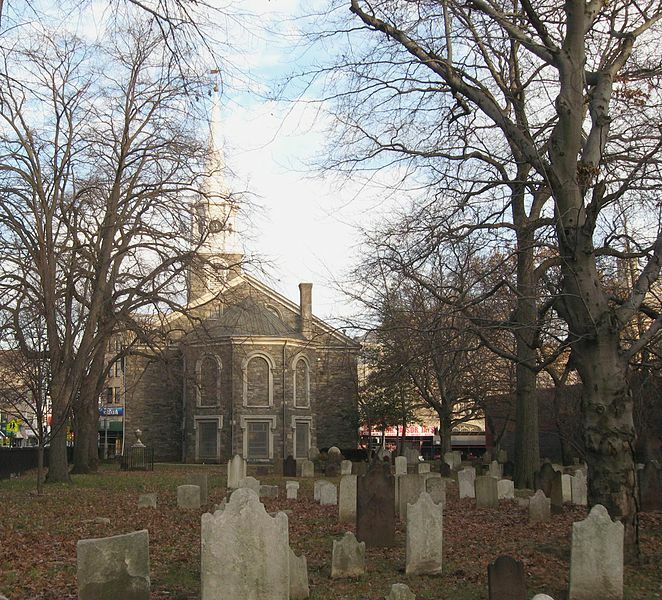 This is actually a screenshot of a street-view looking at the Wyckoff Reformed Church Cemetery in New Jersey. If I can’t find some relatives here, I’ll eat my hat! There are so many possibilities in New Jersey. I would love to take a trip there sometime and do some cemetery hopping. It would be a lot of fun to see how many of my Dutch ancestors I can find while I am there. I’m doing my own family history research in NJ , Polhemus is a popular name that I’ve seen many times, there is even a Polhemus rd. I will keep you in mind when visiting these cemeteries, if I come across anything I’ll let you know. Thank you so much! I live in Utah, so it is not an easy thing to just get out and look. There is a story attached to Colonel Wyckoff. I really need to find it and retell sometime.